I'm using Sage 50 Premium Accounting 3-User, and trying to upgrade from v. 2017 to 2018. Sage has announced that v. 2017 is going into Obsolescence on Feb 28, 2018. Sage requires an upgrade to version 2018 in order to continue using the software, so this must be done in some form within the next week. This would be fine, except I just discovered that v. 2018 will not install on our server. It is an older HP ML-310 running MS Server 2008 Foundation. Sage 50 v. 2018 requires at minimum Server 2008 R2 operating system. I will eventually upgrade this server, but it is a major undertaking for our small one-person (me) IT department. I am trying to discover if there are any hidden tricks which will allow me to fool the Sage software into installing successfully on the Server 2008 Foundation system. What I would prefer to do is find a way to get Sage 50 working short-term, then just buy a new machine with a modern OS and take my time setting it up and porting the needed apps to the new system. For more background: We are a small ~50 employee company with this one old server and about 10 workstations ranging from XP to Win10. Other than the Sage 50 Accounting, I also have three other mission critical applications on the server. These apps are installed on the HP Server, and accessed both locally and remotely by other employees. They are all set up as "Remote Applications" using Terminal Services, so they can be accessed by both local and offsite workers just by running a local ".rdp" file. I'm not technically astute enough to just quickly buy and set up a new Server 2016 Essentials box and get all of this working within a week, so I need a stop-gap solution. I'm not sure that the "Remote Application" capability even exits in Server 2016 Essentials. I could survive short-term without offsite access to all except one of the programs, but this one does absolutely need remote access. Any and all help is much appreciated. Are they saying the software will stop working or just that support will end? If it is just support you (management?) will have to decide how long you are willing to operate with no support. You could also try and see if the new version will run on 2008, but since it is also off support your options are limited. Hard to get a straight answer as to what will work and what will break. I'm working on that with them now. It seems that the regular accounting functions (AP / AR / GL ) will continue to work, but Payroll will not, because it is dependent on their formulas and calculations. This would be a deal breaker for us, because we run payroll every week. Oh, and "just installing the new server" is kind of a big deal to me. I don't really want to have to tackle that in just a couple days while other things have to get done concurrently. 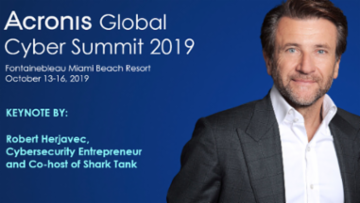 The Acronis Global Cyber Summit 2019 will be held at the Fontainebleau Miami Beach Resort on October 13–16, 2019, and it promises to be the must-attend event for IT infrastructure managers, CIOs, service providers, value-added resellers, ISVs, and developers. So, hard question: Is I.T. seen as a pain? We set up lots of cloud based and on-premises based RDS Farms for clients ranging in size from 2 seats to hundreds or more. One small 1U server configured: E3-1270v6, 64GB ECC, 8x 1.2TB 10K SAS in RAID 6, 1GB flash-backed hardware RAID, all Intel NICs. I don't see mention of Exchange so I assume mail is hosted. Install the DC and DCPromo into the existing domain. Once in, set up the rest of the VMs. Migrate the Data. Host the User Profile Disks (UPDs) on DC (though I prefer to have a separate VM for file & print). Configure all of the needed apps. Done. Virtualization is really the only way to go. EDIT: If on-premises is not going anywhere put the setup into a VM Cloud like Azure or others. I can vaguely follow what you're saying, but it's mostly just a big Whooooosh! right over my head. So, yeah, I guess the answer to your first question would be "yes". :-) I set up networks and servers back in the dark ages, but for the most part, current tech has passed me by. And, just to clarify - not seen as a pain, but just don't have the time to keep up. You guys really need to get some more IT help... You are running mission critical apps with off support OS's and no real disaster recovery options . I agree with all you say. I was just hoping I could find some back door way to get it to install to kick the can down the road for a little while. I'm not familiar with the Sage cloud you speak of. Last time I checked into this a while back it still required a local install but just stored your data on the cloud. I'm thinking the best easiest short term option is just to use one of our other workstations as the Sage server. You're right in that only three people need access, and it doesn't really require any remote access right now. Thanks for the help. I'll leave this open for just a little while in case there are any more ideas. You could put the Database Only install on a set-aside machine that is getting backed up. Then set all Sage 50 clients to open from that location. The catch: Desktop OS allows for a limited number of SMB connections. I think 3 clients should be okay but I'm not sure as we've not done anything like this on a desktop OS in a long time.